📅 December 2018 April 3, 2019 by Bruno B. Struggling with logistics and transportation to get around in the Azores Islands? Fly or take the ferry? Rent a car or take public transportation? Let me help with some tips from a local. As remote and relatively small islands scattered across the North Atlantic ocean, unfortunately public transportation is not Azores‘ strongest point. Taxis, tours and private guides are getting expensive so the options to travel independently are limited. I’ve put together this article to (hopefully) solve your doubts and help you get around the islands as efficiently as possible. Haven’t booked your flight to Azores yet? Here are the current route options to get to the islands (as of 2018). 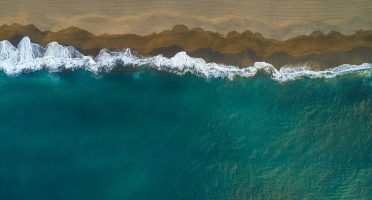 There are several routes from Europe and especially for United States and Canada to cater to both the ever-increasing tourists and the large azorean communities living there. Note these are regular connections only – during summertime, many other companies operate charter flights to and from Azores. Check the latest fares on Skyscanner or Kiwi for possible deals. Check my page about Azores flights for more info. Every island in Azores has a commercial airport. However, only 4 of them have flights connections to mainland Portugal; and from those, only 2 are currently operating direct international flights. São Miguel – João Paulo II airport (PDL): several daily connections to Porto and Lisbon, as well as international flights to the United States, Spain, Canada, Germany, United Kingdom, amongst others. Terceira – Lajes Airport (TER): daily connections to Porto and Lisbon, as well as international flights to the United States, Canada and The Netherlands. Pico – Pico Airport (PIX): possible direct flights to Lisbon. 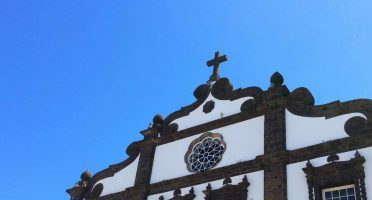 Faial – Horta Airport (HOR): possible direct flights to Lisbon. Other airports: only operating inter-island flights with SATA Air Azores. I usually don’t use travel agencies to book holidays as I like to travel independently. Yet, I have to make an exception for Azores Getaways because I really think they have some pretty good prices on flight + hotel packages for Azores. These are particularly advantageous if you are flying from the United States and are looking for a hassle-free trip planning. They offer deals from cities like Chicago and Boston, flying to Terceira and São Miguel islands. But a great thing is that you can customize your packages by adding one or two islands to your itinerary. Give them a try! To get from one island to another, flying between Azores islands is significantly quicker but more costly. SATA/Azores Airlines is the only airline doing inter-island flights and with no competition, the prices are far from being reasonable IMHO. To give you an idea, the last time I flew São Miguel > Pico (a short 45 min flight) it costed me 100 EUR. Check my page about flights in Azores to get to know more. SATA Air Azores provides a free routing service for passengers traveling to or from mainland Portugal or Funchal. 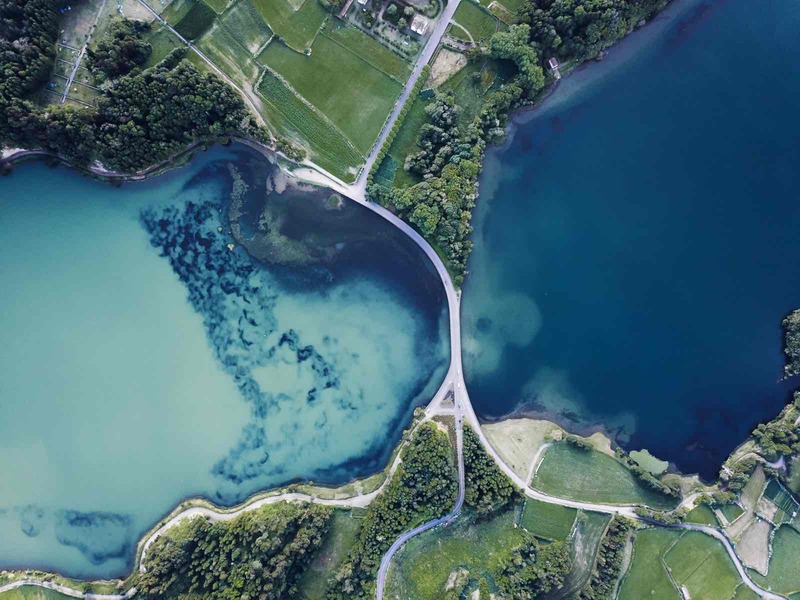 In other words, if you are flying to Azores from a portuguese airport – Porto, Lisbon, Faro or Funchal (Madeira) – you can request a FREE connecting flight to any other azorean island. More information and details here. Taking a ferry is the other option to travel around from island to another. It’s a beautiful and inexpensive way to get around Azores. However, keep in mind ferries in Azores have to operate in the middle of the Atlantic Ocean, with currents and waves that in some days can be rough. In winter time, due to the ocean conditions, only ferries between the islands of the central group (São Jorge – Faial – Pico) and western group (Flores – Corvo) are operating. Also, the distances involved in Azores ferries are higher, hence journeys are longer. 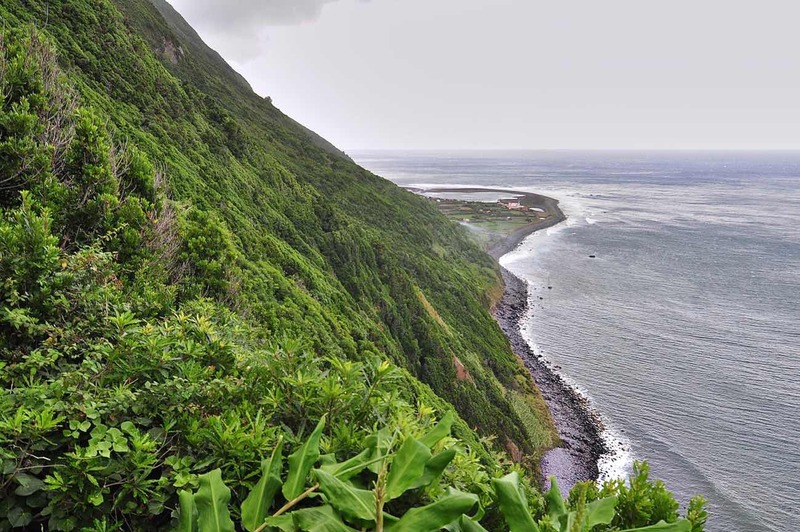 The trip from São Miguel to Santa Maria alone – the two islands on the Eastern Group – takes around 3 hours! If you’re considering the ferry route, the reference company in Azores is Atlântico Line. Only available during the summer months. You can make your reservation directly with Atlântico Line. The trip takes roughly 3 hours. The service runs the entire year and given the proximity of the islands, it’s very reliable. 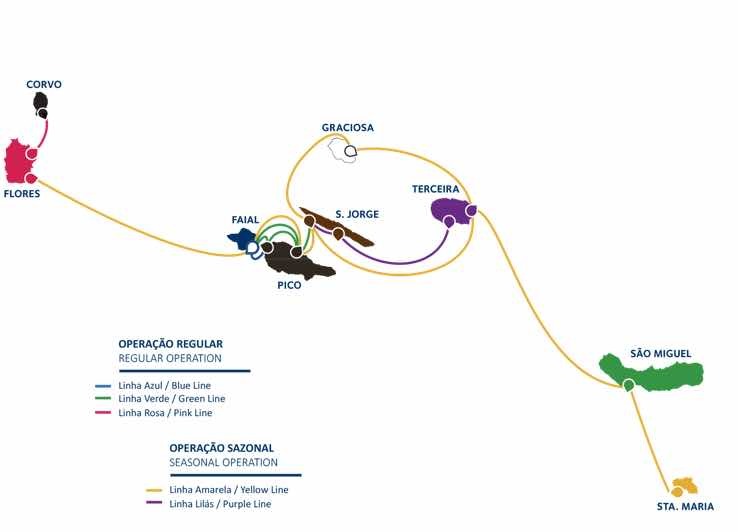 You can book with Atlântico Line or Transmaçor. Fair question. So this is my tip: Fly between islands of different groups – Western, Central and Eastern – and consider the ferry only for short trips in islands of the same group (e.g. Faial to Pico or Corvo to Flores). I also suggest you leave the exploration of the island you’re flying OUT back home for last. This will avoid any problems with journey cancellations which are pretty common due to due to rapidly changing weather and ocean conditions in the North Atlantic. How can you move inside each of the islands? Taxis can be expensive. For instance, in São Miguel, the current fare (2019 prices) for taxis to take you from Ponta Delgada airport to Furnas is about 40 EUR. If you’re taking taxis to get from point A to point B, make sure you negotiate a price BEFORE. Also keep in mind in some remote places might be very hard to find a taxi to come back, unless you call. The outbound journey to pick you up will most likely be added to your bill. There are some default itineraries and private tour guides that can take you to the main sights and hiking of the islands for a fixed price. There is a network of buses between the main towns in the larger islands but they’re not really reliable nor frequent. Additionally, remember these routes are optimized for local transportation and rarely get you close to the main points of interest. You can check bus schedules for São Miguel here, but I advise to always confirm timetables with local companies. I HIGHLY recommend getting your own wheels in the Azores, preferably renting a car. It gives you flexibility on your daily plans and adds to the sense of adventure. Plus, if you’re traveling together with more people, it can be truly inexpensive. Local car rental companies usually have better prices than big heavyweights like Sixt or Avis, but this will depend on the type of car and time of the year. Cars with manual gear are the standard; automatic cars are fewer and more costly. My first advice is to book early. In summer, rental agencies are such a high demand that there are days with no cars available to rent. Book your car rental at least 2 or 3 months in advance. Also, driving in Azores is perfectly doable for any seasoned driver, but don’t neglect the car insurance. The roads are very curvy and the main sights can take you through narrow dirt roads where it’s easy for your car to get scratched. Look into adding CDW and Super CDW insurance to your rental for a stress-free trip. If renting a car is not an option for you, consider joining a tour from an tourism operator. There are several options of day trips and half-day trips and they range from inexpensive options to luxury private fares. My advice here is to always ask how many people are going with you. While tours in Azores are usually kept to a small group, visiting a beautiful lake with 30+ other people on a large bus is not the experience you want to have. Are you using public transportation in Azores? How are you planning to get around? Let’s discuss in the Azores Travel subreddit or in the comments’ section below!